TV Asahi have today (29 November) announced the acquisition of the exclusive Japanese broadcasting rights for the FIA Formula E Championship. The multi-year agreement will see the Japanese network show live coverage of all Formula E races - together with extensive coverage of the practice and qualifying sessions - across its terrestrial, satellite and cable channels. Based in Tokyo, TV Asahi boasts a network of regional channels and a potential reach of 51.4 million households, largely thanks to its coverage of major sporting events. It is now regarded as one of the most popular and widely watched networks in Japan. 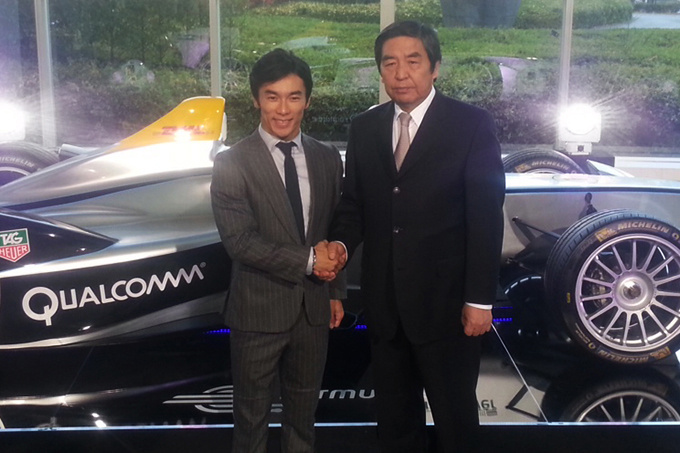 Today’s news follows on from two recent championship announcements for Japan which see Super Aguri become one of the 10 teams to compete in Formula E and Japanese driver Takuma Sato joining as one of the series’ development drivers. TV Asahi now joins FOX Sports as confirmed broadcasters for the new zero emission series after it was announced earlier this year that the US network would show live coverage of all Formula E races in the US and 88 territories around the world – a potential reach of more than 180 million households worldwide. Sebastien Buemi quickest after 4 days of testing. Super Aguri: "Sato is on our shortlist"